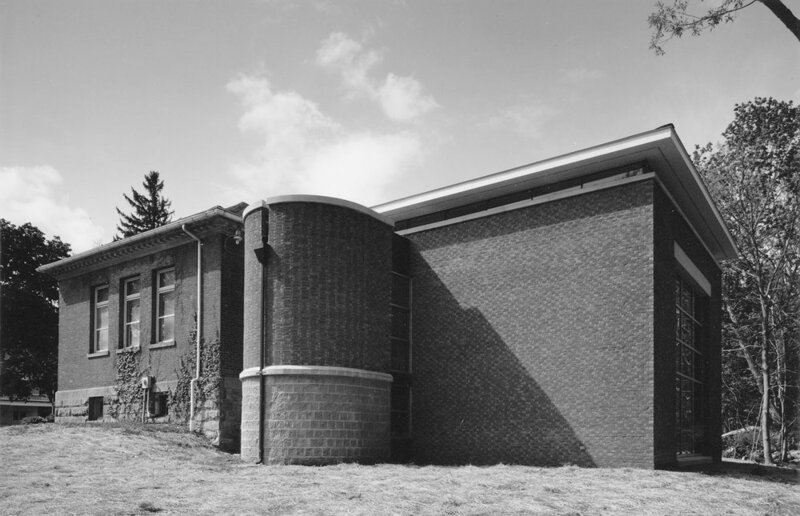 The strategy for the resuscitation of this small-town library entailed the recognition of an axis connecting the busy Main Street/state highway at the front of the building to the unsung, serene natural beauty of the woods to the rear. 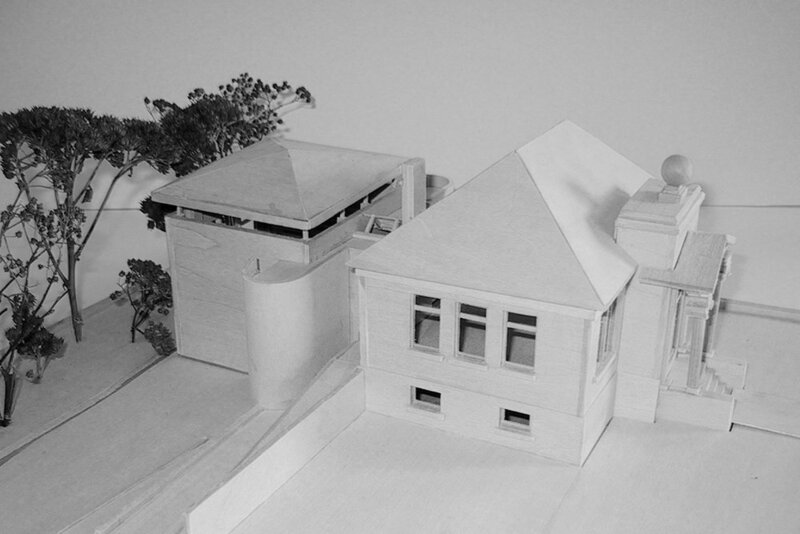 The main room of the addition was thus conceived and detailed as a Pavilion in the Woods -- a double-height space in which book storage around the perimeter defines a children's room, and a large window to the forest provides a setting for story time and the imagination. Simple, exposed structure, materials and details free the room from pretension while allowing it to engage in a strong dialogue with nature and natural light. The original library interior, freed from clutter and light-blocking stacks, is unified and restored to its original function as a splendid reading room. 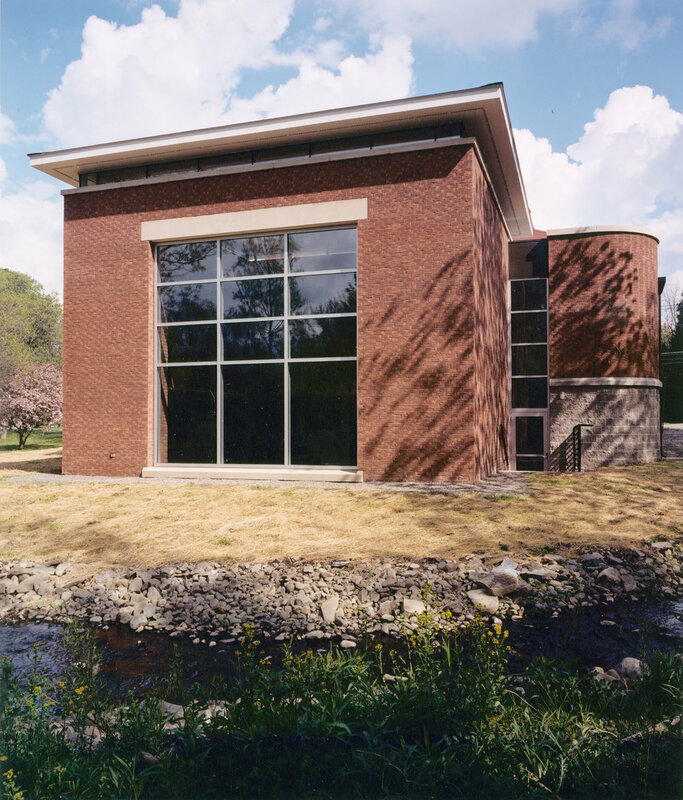 The project received the 2001 AIA Rochester Design Award for Excellence, the 2002 Best Building Award from the New York Libraries Association, and has been nationally published as part of a quarterly insert to Architecture magazine.